The Institute's fully-functional recovery programs and therapy clinic specialize in athletic injury prevention and treatment programs in a professional, motivating and sports-oriented environment. 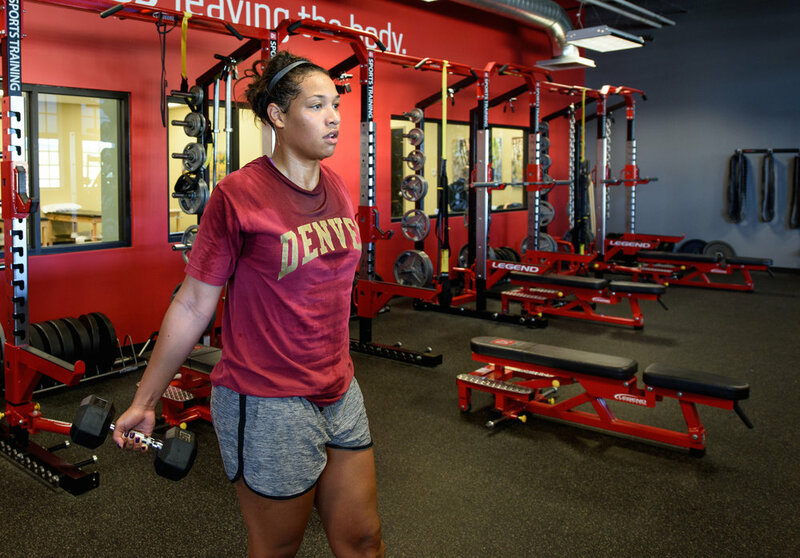 The convenience of providing training and therapy in the same location makes an efficient transition from rehabilitation back to training and can help athletes continue performing at an optimal level. We are committed to helping you perform at the highest level. A leader in rapid recovery technology - NormaTec is used by elite and professional athletes across the world. Endurance athletes, functional fitness, college and professional athletes - from football and basketball to hockey. Coaches and trainers rely on NormaTec recovery for athletes who train hard and need to stay in optimal shape. The technology is designed to help athletes in all sports recover from intense training more quickly by promoting circulation and decreasing muscle soreness and inflammation NormaTec works by applying dynamic compression. The movement of air through the sleeves, results in a massage to the limbs that helps to move fluid and speed recovery. The Institute has dynamic compression sleeves for the legs, hips, shoulders and arms. We offer this service to any of our clients after an intense training session. The Panorama Wellness and Sports Institute is proud to introduce its new state-of-the-art motion capture and analytics system, DARI. DARI was created to capture the most precise individual motion data in less than 10 minutes; this data has endless applications in training, injury rehabilitation, and injury prevention. Our bodies are designed to adapt and compensate, this is how we grow stronger through training. However, if done improperly, each adaptation may mean that the body becomes more prone to an injury, more asymmetrical, or that more weaknesses are created because one part of the body is being favored. By using DARI, we can check each of these areas that make the body vulnerable and get a baseline to check progress in how training is affecting the body and adjust accordingly. This real-time analysis of your movement will allow our coaches, therapists, and doctors to create scientifically customized exercise and rehabilitation planning optimized for your health, wellness and fitness. The DARI system consists of eight high-speed cameras which capture the details of body movement as each subject moves through 19 tests. Each DARI scan captures the movements of your body down to less than a millimeter of movement creating, with pinpoint accuracy, a report which identifies imbalances, asymmetries, weaknesses, and how your body creates force. Every movement is then analyzed for different movement patterns to generate a report which leads to a custom plan for you. The DARI system has been used in the NFL, NHL, MLB, MLS, and for Olympic and collegiate athletes to give trainers an objective view of training and its effects throughout the season. Sport science is no longer reserved for only professional athletes! If you are interested in getting a DARI scan, please call (720-330-4898) to schedule an appointment! MuscleSound is a non-invasive, quick and easy, ultrasound-based muscle health assessment which provides two major muscle health indicators: body composition (body fat and lean body mass) and muscle fuel levels (glycogen). There has yet to be a non-invasive measurement of these indicators as accurate and timely as MuscleSound. In the assessment for Muscle Fuel, 14 key muscle indicators look at the muscle health of all major muscles, but also determines imbalances between the left and right sides of the body. This can be used as an early warning of readiness for an event, as well as to assess recovery progress in particular rehabilitation situations. In the assessment for Body Composition, seven body sites are used to assess percent body fat and percent muscle mass. The system also provides a breakdown of fat thickness at individual sites, as well as a comprehensive tracking of change over time in these locations. Through Panorama’s chiropractic services, we offer some of the state’s most prestigious chiropractic care. Dr. Shawn Caldwell has many years of experience in serving the Denver Metro Area and some of its most elite and renowned athletes. Dr. Shawn Caldwell, a native of Colorado, first began his practice in Wheat Ridge over 25 years ago. He continues to build and expand practice. He has served as the Official Team Chiropractor for the Colorado Rockies for the past 18 years, the Denver Nuggets since2016 and the Denver Broncos for 13 years. Since opening his first practice in Wheat Ridge, Dr. Caldwell has also founded the Neuraperformance Brain Center in Denver focused on providing post-concussion care and recovery systems for people and athletes of all ages and Denver Sports Recovery focused on helping athletes perform at their peak levels through providing a variety of recovery services. Dr. Caldwell sees patients on Tuesdays and Thursdays from 12 - 2 pm in the Physical Therapy offices at The Institute. MAT is an assessment of range of motion to pinpoint areas in the body where muscle weaknesses may lie. MAT addresses whether muscles can contract by utilizing range of motion assessments, clinical kinesiology strength testing (also called isolated muscle strength testing), and a palpation technique unique to MAT to reinitiate a conversation between the muscles and the brain. This conversation can be impaired due to stress, trauma, and/or overuse.